Zipzicles are a terrific product that I am very excited to have an opportunity to try. 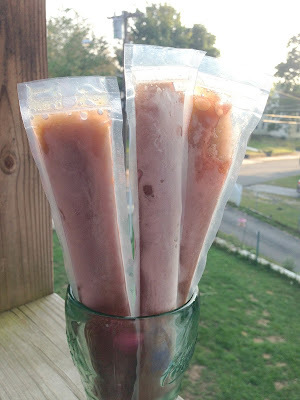 My kids love popsicles so I was looking for a healthy alternative that I could make myself. My daughter and I juice often - 2 to 3 times per week. 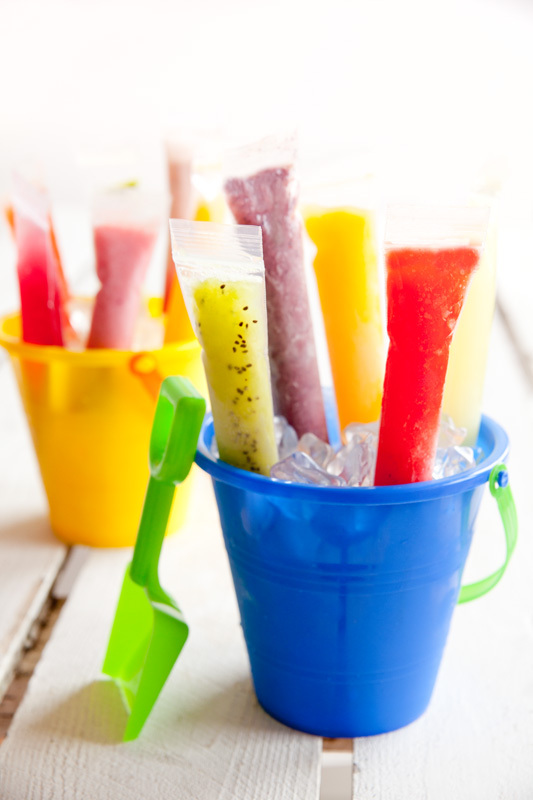 Our juicing activities are perfect for making healthy popsicles and Zipzicles are the best vehicle to make these in! Yeah - I know fresh juice is not the most attractive looking. Seems it always ends up green or brown. But let me tell you - it is so incredibly tasty. Essentially these are zip top ice pop bags. The bags are nice and thick with a "fill to" line so you don't overfill. This product allows for us to make popsicles that are free from dyes, all natural, no need for sticks and fully portable. We have children with special needs - anything we can do to improve their diet is very helpful. These are also the perfect frozen option for when we are camping - I can juice at home, fill the Zipzicles and throw them in the freezer when we get to the camper. Each pouch holds 3.5 ounces. They recommend several different methods for filling but I use a funnel simply because I use the funnel to fill my jars after I juice anyway - I am already set up for it. The site also recommends that you freeze the pops standing upright in a container. I have yet to find enough space anywhere in my freezer to be able to stand anything upright. But even without that, it freezes and works just fine. Apparently their ice pop bags are a new design with reinforced sides. I did not try the old design so I have nothing to compare it to but I can tell you this bag is very sturdy and strong. I have had no issues so far. I have also reused them. I simple rinse them out with warm water and soap and then hang them in the dish drainer over a straw to allow them to dry. These are so much fun to make; don't require any sticks; completely portable; they save space (remember - I have NONE, especially in the camper); the BPA Free and recyclable. U.S. $2.99 per package of 12! And Zipzicle has so graciously offered to giveaway away a package to three entrants in the giveaway below. THREE entrants will win their own package of Zipzicles! How cool is that?! Enter below. Giveaway open to US and Canada only. The Chocolate Cinnamon one sounds really good!